The National Assembly of Vietnam is still undecided on several changes proposed for the tax system of Vietnam, with contention rising with the release of a new report criticizing mechanisms proposed for the tax reform. On July 13th the Standing Committee of the National Assembly of Vietnam held a scheduled session devoted to reviewing a government proposal to instate a series of temporary tax reforms and exemptions worth approximately VND 4.2 trillion (USD 205.8 million) in the 2011 year, and another VND 2.2 trillion (USD 107.8 million) in changes for the 2012 year. The overhaul was proposed by the Finance Ministry, and announced by the Finance Minister of Vietnam Vu Van Ninh, who said that the new measures were aimed at solving the economic difficulties faced by both national businesses and individuals. On July 21st the Chairman of the Finance and Budget Committee of the National Assembly of Vietnam Phung Quoc Hien presented a report on the proposed cuts, claiming that the changes were poorly targeted and would not aid the low earning individuals or poorly performing businesses. Under the initial government proposal, individuals earning less than VND 60 million per year, would be exempt from the current 5 percent tax rate. Small and medium enterprises would also be given extensions on their tax payment deadlines, as it is thought that the move would ease cash flow issues. The National Assembly is also considering the potential effectiveness of instating significant cuts in tax rates faced by small businesses. It was also proposed that tax exemptions should be applied to dividends, to stem the continued decline of the Vietnamese stock exchange. However, according to the new report by Phung Quoc Hien, the lowest earning individuals in the country already face a relatively minor tax rate, and would not benefit significantly from a drop in their liabilities. 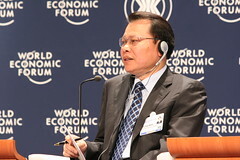 Businesses would also only see small benefits from the tax cuts and payment extensions, as the primary difficulty faced by small enterprises in Vietnam is a lack of available capital, and Phung Quoc Hien suggested that the government should pursue means of easing the accessibility of credit to local entrepreneurs. The Chairman said that the government needs to reassess the fairness of the proposed tax exemptions on stock trades and dividends, as they could be perceived as unfair by other businesses.